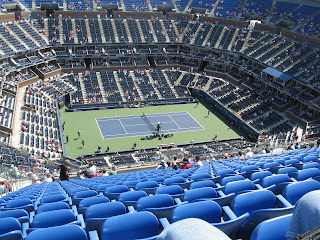 Thanks to Tsheko's friend who had extra tickets, Dad was able to fulfill one of Mom's dreams today by taking her to watch a day of tennis games at the US Open. Mom came back completely overjoyed (and sunburned!). Dad was happy to be by her side and said he would gladly take her back again, admitting he was taken in by the thrill of it all as well.